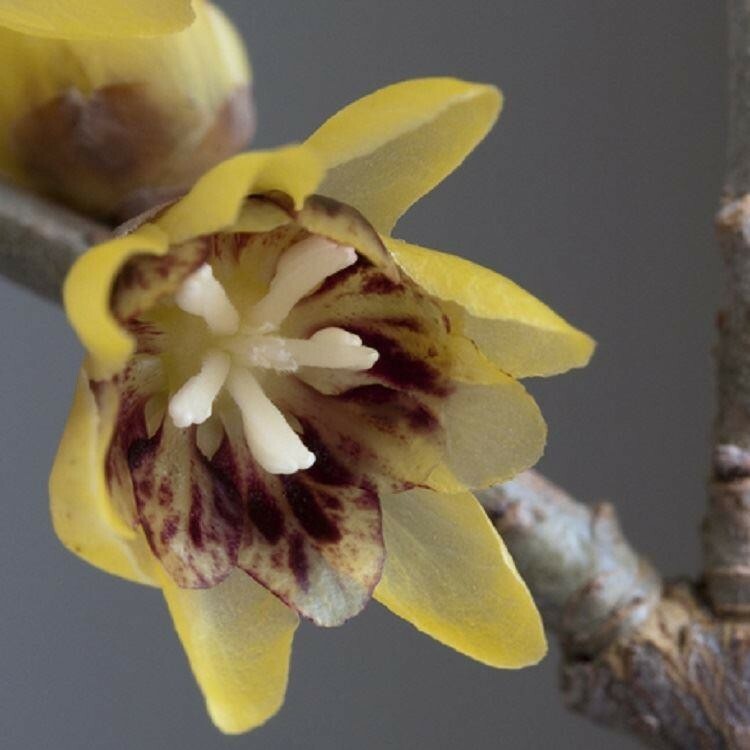 Chimonanthus Praecox is a delightful, deciduous shrub. 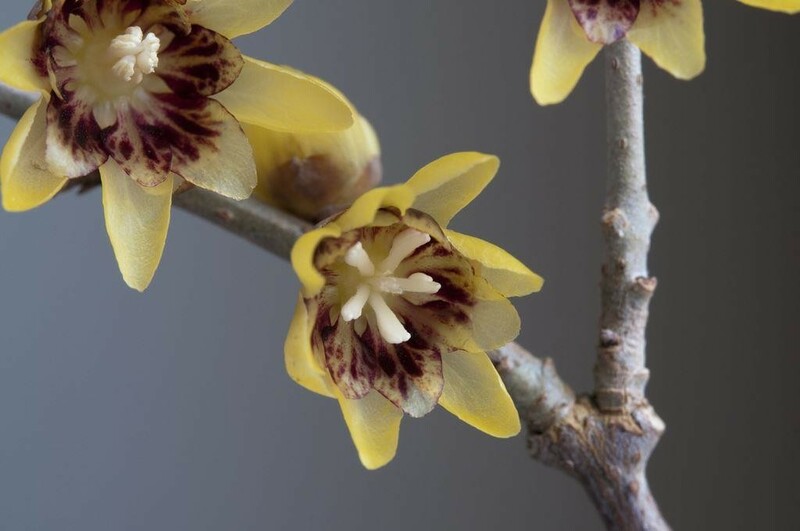 'Wintersweet' is unusual in the fact that, like it's name suggests, actually flowers during Winter and produces very small, sweetly scented flowers. The sulphur-yellow blooms are stained with purple and sit atop bare stems, creating a very attractive display during the Winter months. It does take a few years for this plant to flower as it becomes established and more mature, but it is well worth the wait! Ideal for a mixed/winter border. 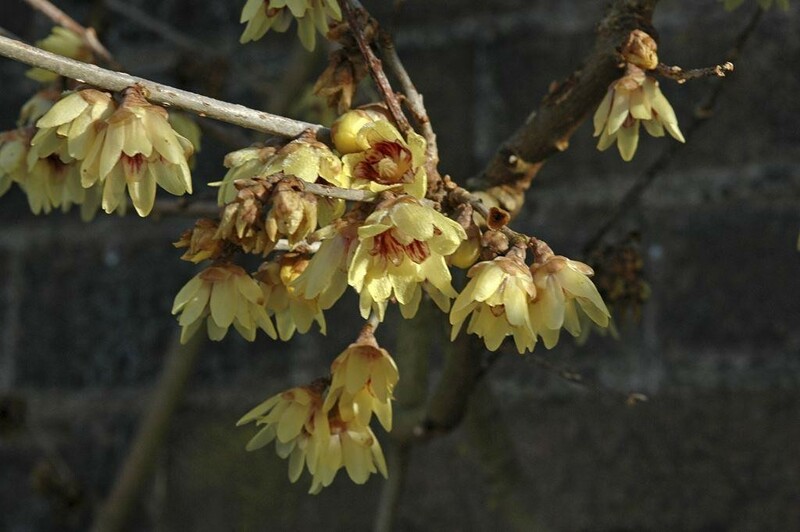 Plant in well-drained, moist soil and Chimonanthus tends to thrive in a position of full sun. Often used as cut flowers for the home, as the elegant bare stems bearing these fragrant blooms are ideal. Strong plants supplied in approx. 4 litre containers.